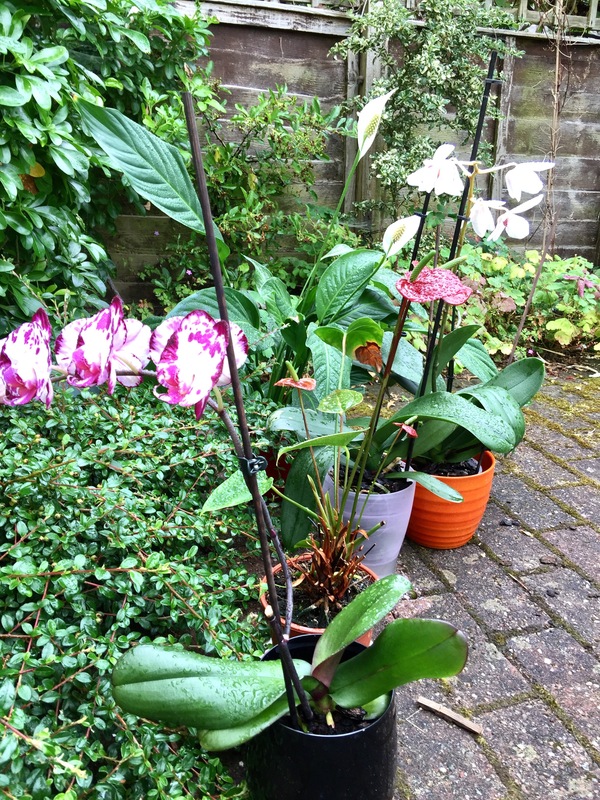 So I put all my orchids and plants out last night to benefit from the tropical deluge that had been forecast and woke up this morning to a teaspoon of drizzle. Whilst I am fully aware that not all parts of England are so dry this morning, as the man said, that “doth butter no parsnips” for my thirsty plants. So I took pity on them standing out all night and getting nothing, gave them a full soak and then of course it rains, albeit still drizzle. They are happy 😊. I was doing other technical stuff. Pics of that tomorrow. I cannot grow orchids to save my life. Sad but true.